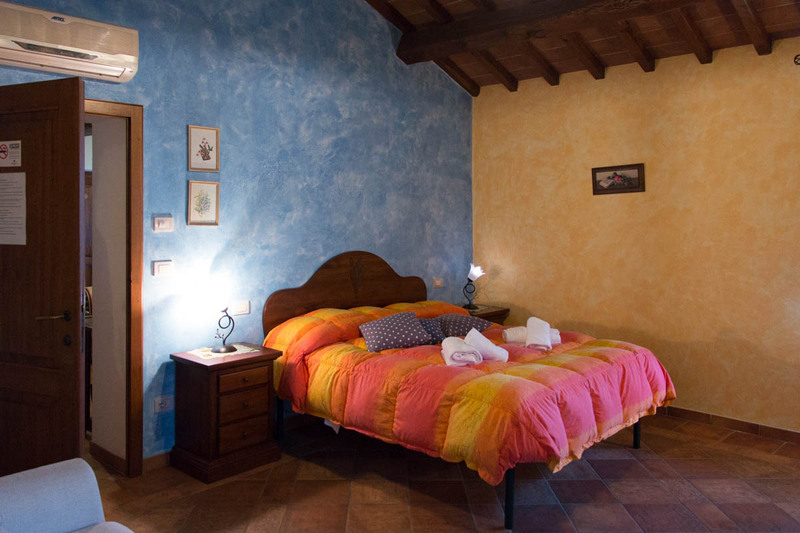 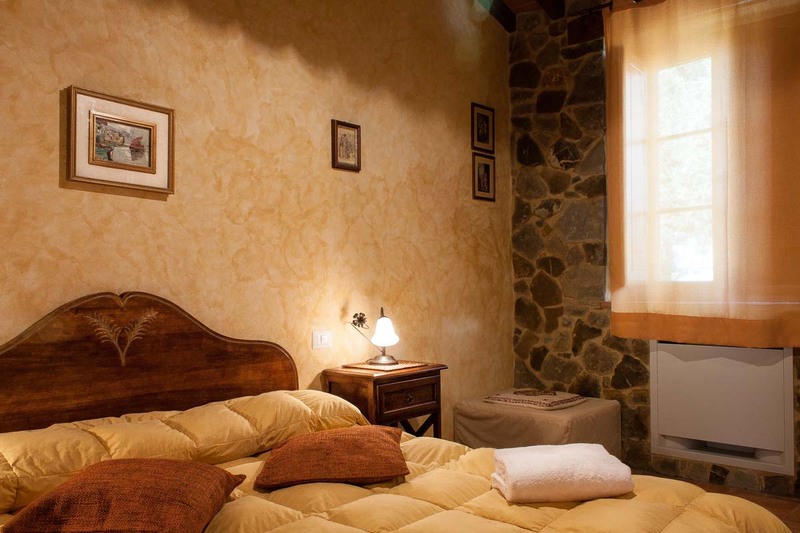 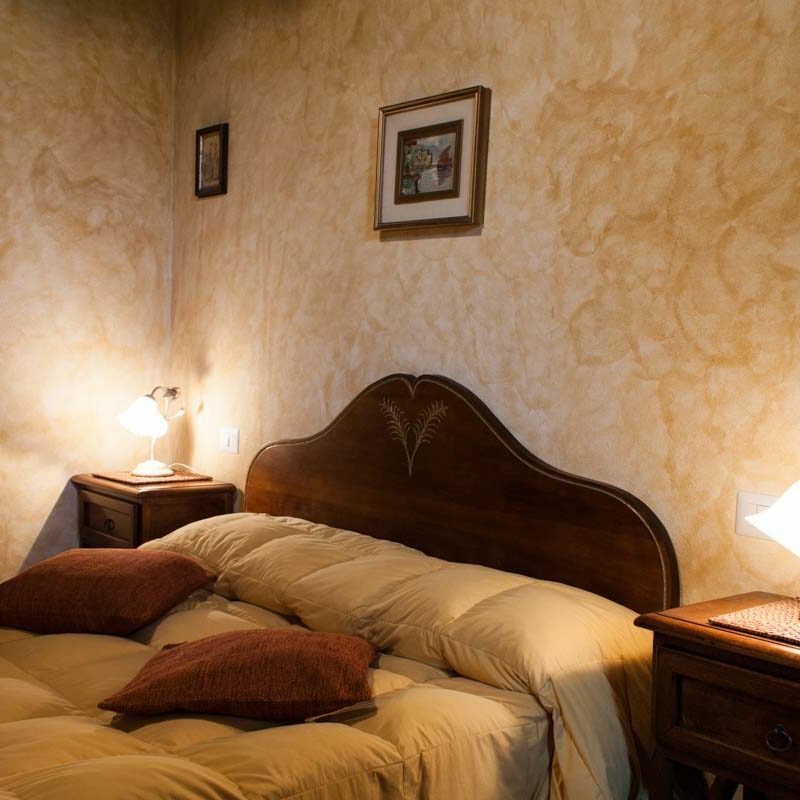 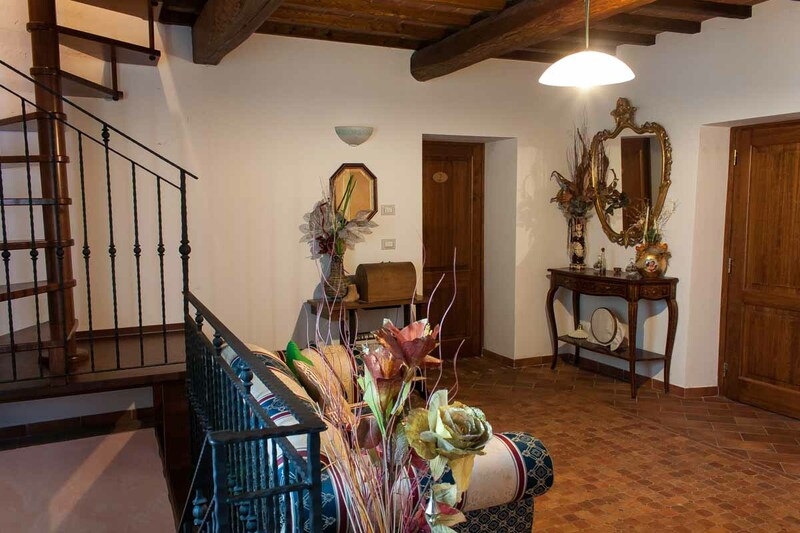 Le Caselle Bed and Breakfast was born from the renovation of an old farmhouse. Finished and furnished in the old Tuscan style, it creates warm and welcoming spaces, thanks to the solid wood finishes, the terracotta floors and the ceilings with exposed beams. 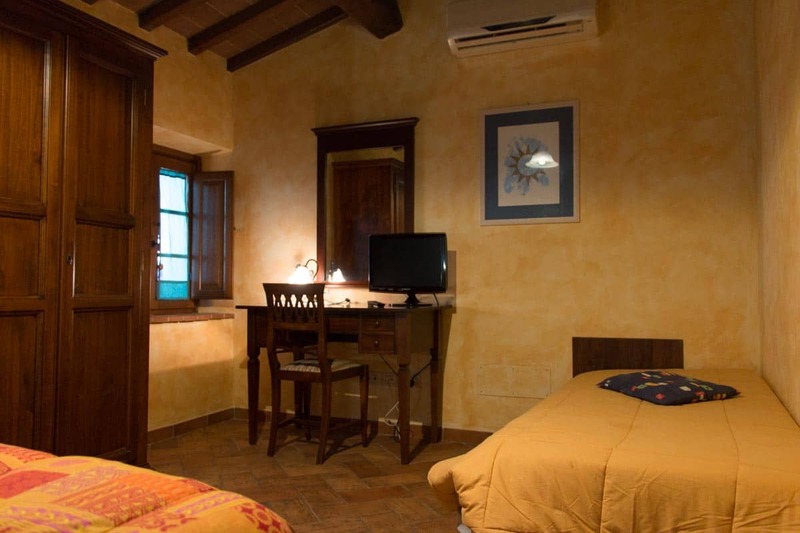 The Bed and Breakfast has five rooms all inclusive of bath in degree to entertain from one to four persons.. 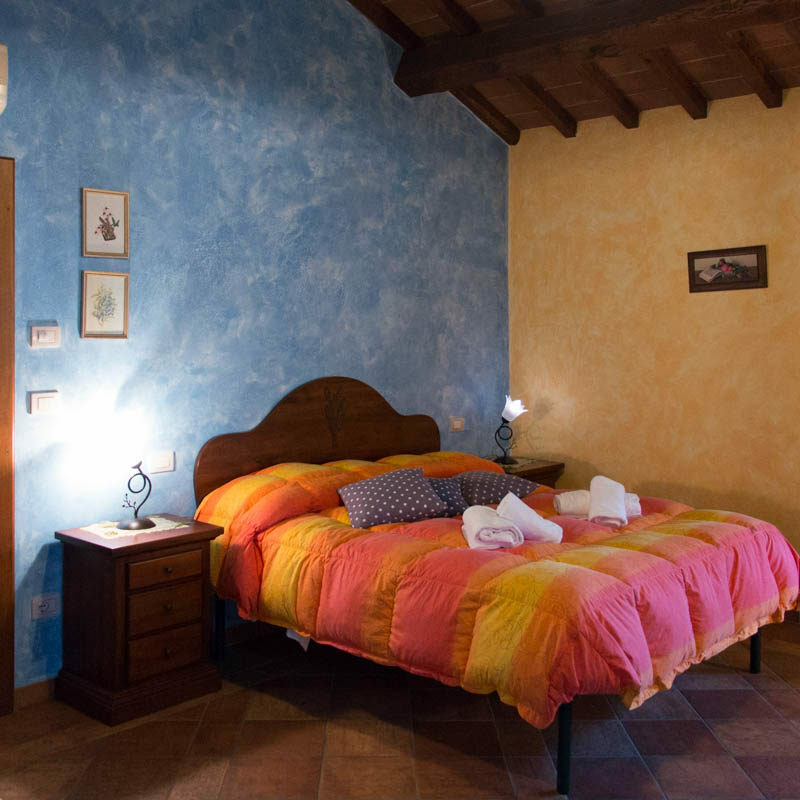 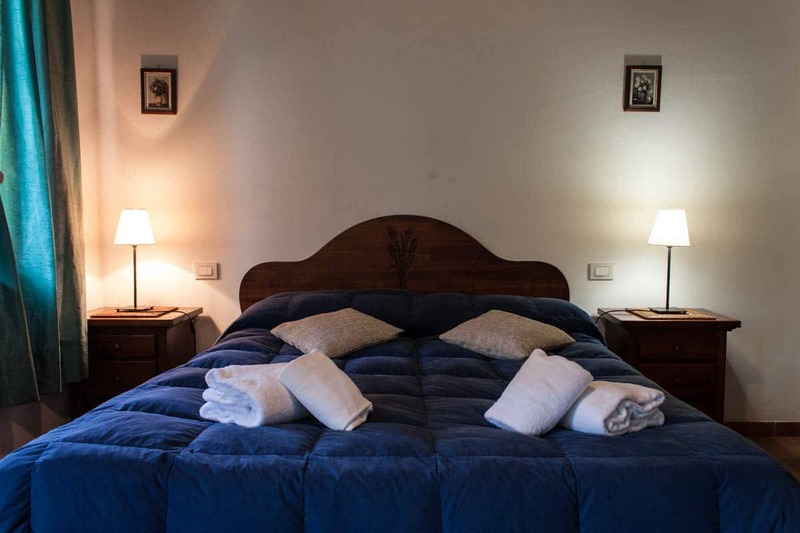 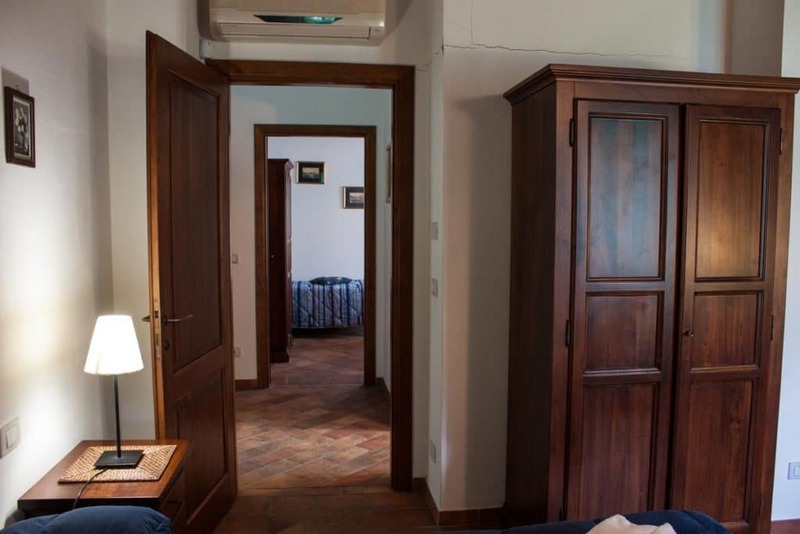 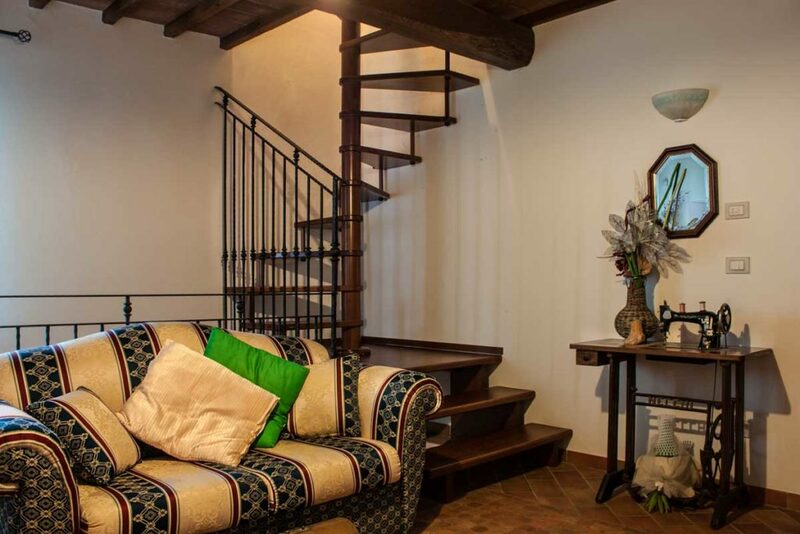 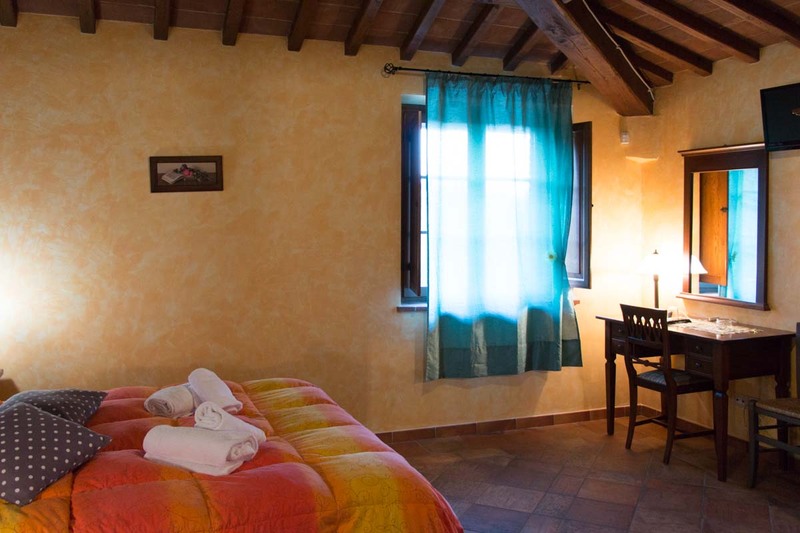 The rooms have all conditioned air and it are furnished in style old Tuscan that gives the position and the surrounding park it remembers a true farmer’s house of once..
Our rooms are furnished in old Tuscan style, have exposed beams, terracotta floors and solid wood finishes. 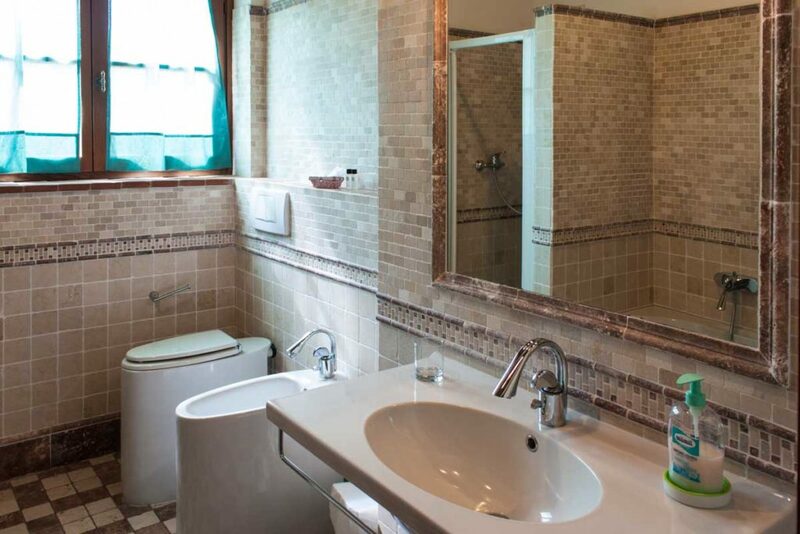 The bathrooms are comfortable, with large showers and all with windows. 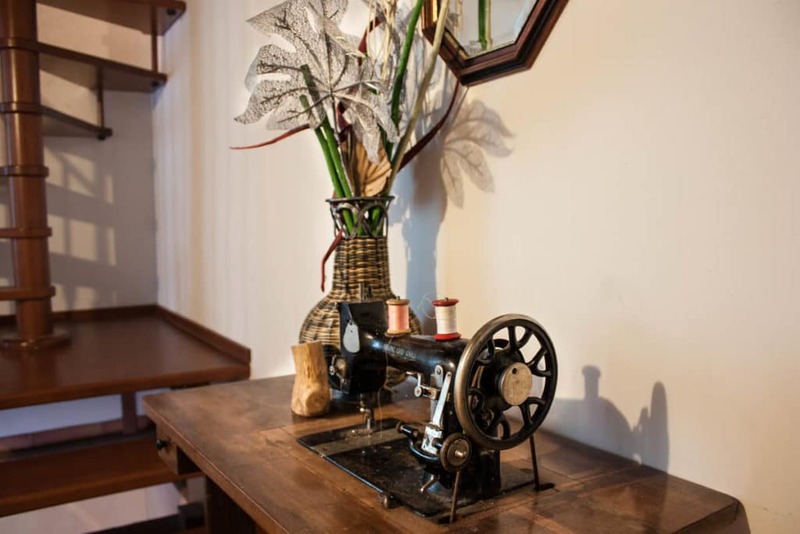 The furnishing accessories are in classic style, the delicate curtains and the coordinated bedspreads create a fine and elegant set. 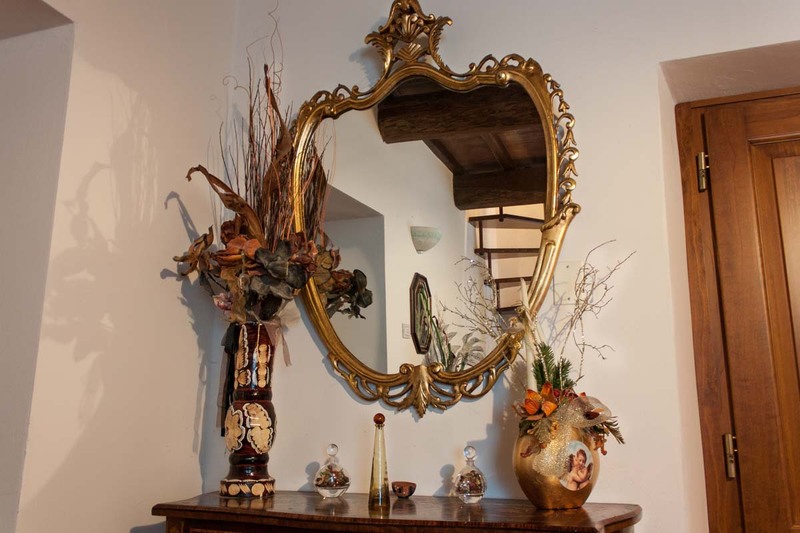 Comfort, attention to detail and style are what we offer. 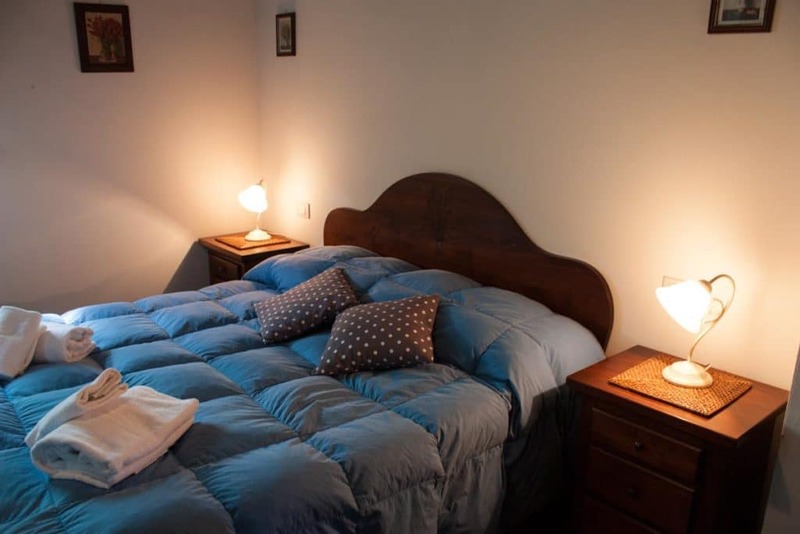 Possibility to add a single bed or cots on request. 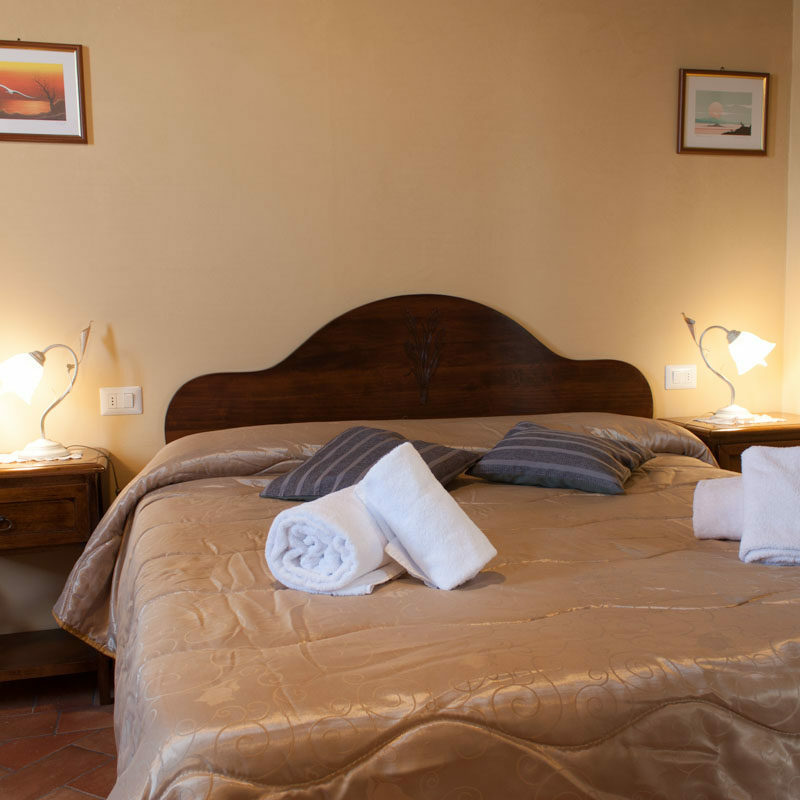 The equipment of the room provides all hypoallergenic and anti-mite materials to make more pleasant the stay and the care of our customers .